We are one week away from starting our first online bible study! Readers have asked us repeatedly for devotionals and bible studies that we recommend. At our women's bible study we rarely go through a published bible study but rather select a book of the bible and read through it ourselves verse by verse. We have also written our own topical bible studies and the group is now reading through C.S. Lewis' The Screwtape Letters. Guess what, though. I can't go to bible study anymore. I have moved 1.5 hours away from where some of us hens get together for weekly bible study. Since I cannot be with the hens in person for bible study anymore I get to study and apply God's word with YOU online. That's right! So, will you please join me? 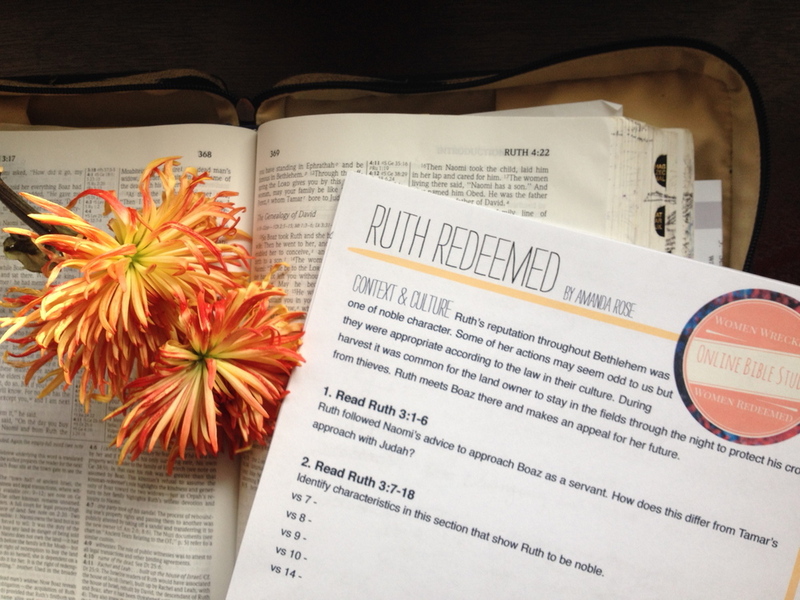 What should you expect from a Holy Hen House online bible study? 1. You will read more of God's words and less of mine. Often times I shy away from devotionals or bible studies that have more of the author's thoughts than God's. I like to read what God has to say from the source! He will give you His wisdom. I John 5:20, "We know also that the Son of God has come and has given us understanding, so that we may know him who is true." 2. The bible study will be formatted as a pdf to print off. I will share the full bible study on the blog and as a pdf. You can either do the study in one sitting or divide it up throughout the week. This is useful for if you would rather work on the bible study away from the screen or along with a group of women at a group bible study. I only ask that you give source credit to me and our blog. 3. There will be several questions to pause and reflect on God's Word. 4. There will be a challenge (life application) based off of the bible study for us to encourage one another on. 5. There will be a bible passage highlighted for memorization or meditation. 6. We will close the study in prayer. You can write your own. One of my English teachers in high school had a sign in front of class that helped us form our prayers. I have never forgotten it and has equipped me when I need guidance to pray on the spot, with a group, or on my own as well. The acronym comes from the word ACTS. 7. A Facebook group to talk about the bible study. If you are looking to share your thoughts, ask questions or join a discussion of the bible study - join us there throughout the weeks. You can sign up to join our Facebook bible study group - Women Wrecked & Women Redeemed - by clicking the button below! Starting next Monday we will navigate through the lives of five women that God chose to be an essential part of His story. They were some of the women that God used to bring Christ into the world to save us. To save them. 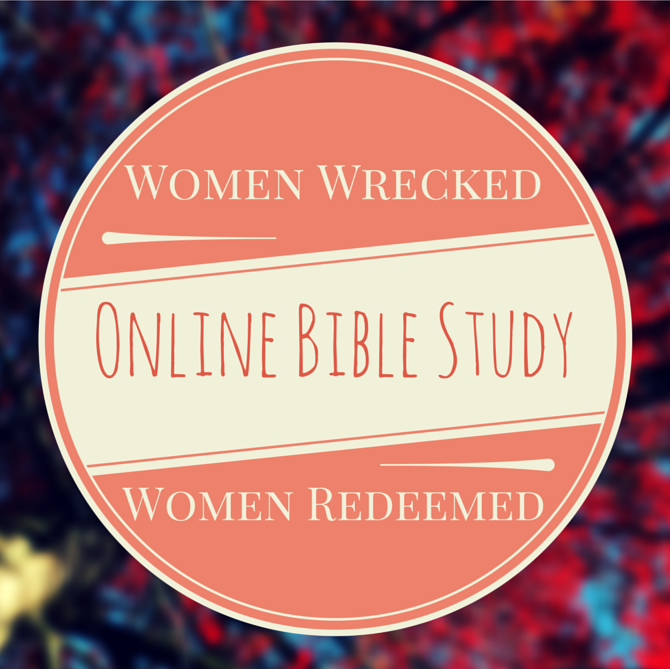 You can read more about the study, Women Wrecked - Women Redeemed, by clicking here.